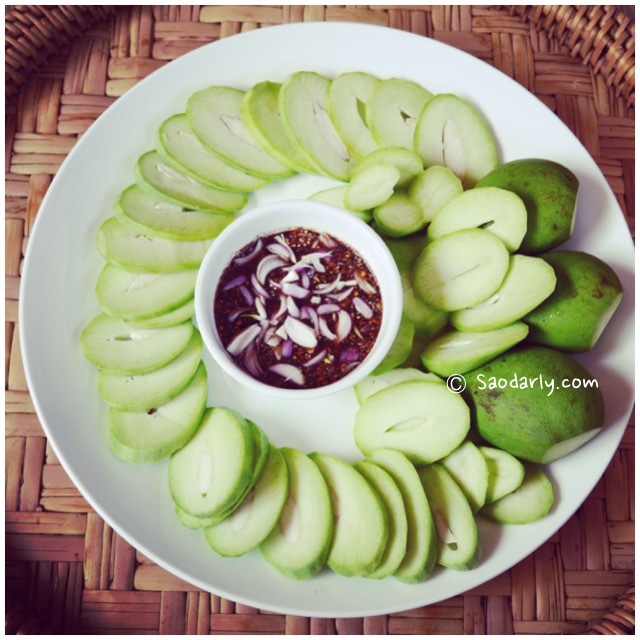 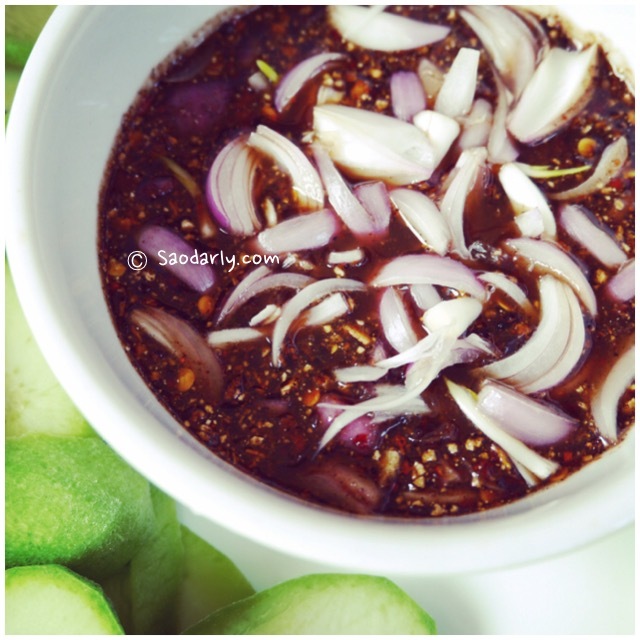 If you are interested in making this fermented fish dipping sauce. 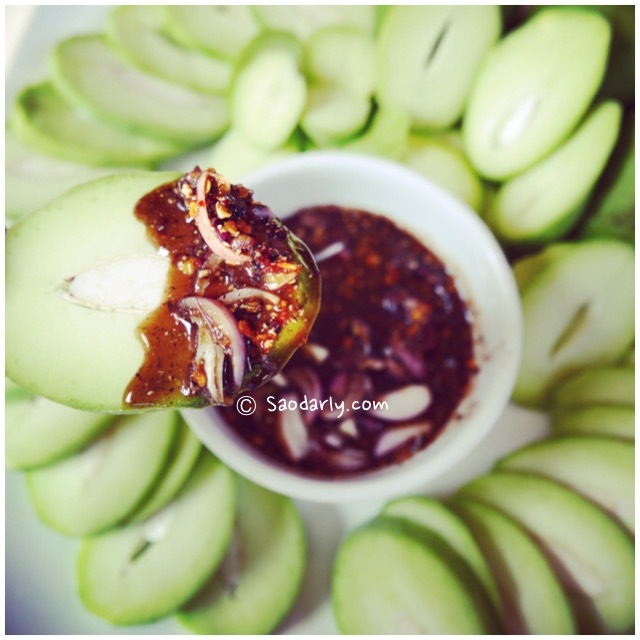 You’ll need to mix the following ingredients together and adjust the amounts accordingly since the Lao way of cooking is not using measuring tools. 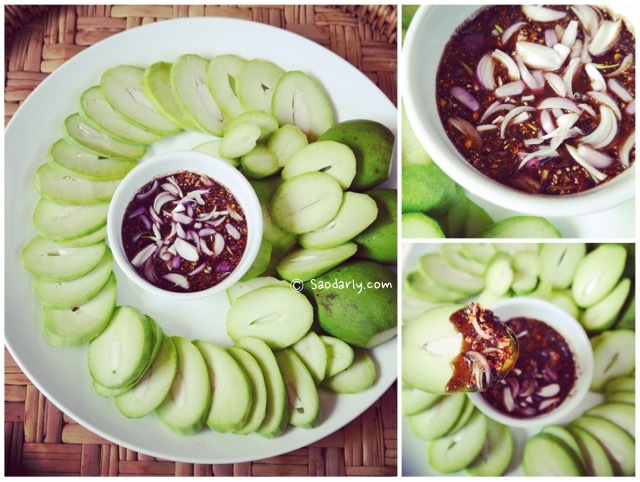 Ingredients for the dipping sauce: cooked fermented fish sauce, shrimp paste, regular fish sauce (Nam Pa or Nam Pla), sugar, crushed dried roasted chili peppers, crushed roasted sticky rice, and shallots.